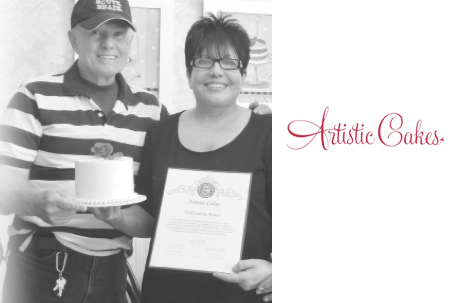 My name is Martha and I have been a cake designer for 9 years Certified from "A’belles School of Cake Decorating" in Long Beach, California and a Graduate from "The National School of Design" in Havana, Cuba, my training and artistic sense gives me the unique expertise to reflect and provide the client’s taste and preferences. At "Artistic Cakes", I work with all kinds of icings such as Buttercream, Chocolate, Cream Cheese Frosting and Fondant. However, the house specialty are 3 lightly sweetened gourmet creams I offer that provides every cake with a soft flavor, incredible for tiered cakes helping its stability for a long time, even in outdoor events and specially for summer.